Bats play the role of hosts for bat mites that live on their bodies feeding off their blood. Therefore, when you have bats in your home, you will be seeing more mites in your beds and couches. However, due to their similarity to bed bugs, bat mites are often treated wrongly, resulting in ill health and infections. A bat’s feces are known as guano, which contains spores for histoplasmosis, a disease than can affect a person’s lungs. This means that when you have bats in home or bats in the attic, they will excrete guano, which will put you at the risk of catching harmful diseases. Moreover, bats are carriers of rabies and if a bat bites you, you will be infected by the deadly disease. Unlike rats and squirrels, bats do not cause any direct damage to your property like chewing on to your ceiling and more. However, bat guano can pile up in your basement and attic, causing your ceiling to get damaged over time. Bat exterminators are professionals who have the right knowledge, equipment, and skills to remove bats from homes successfully. The best part about hiring a professional is that they perform humane bat removal, keeping bats safe and releasing them in the wild. 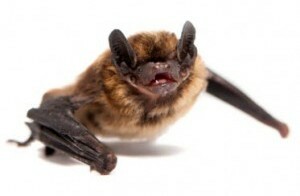 When it comes to bat control in Westchester County, NY, only a professional can perform the removing task efficiently. They have proper plan in place to force bats out of homes without causing any trouble. Although bats control mosquito population, they can cause a lot of problems if they start living inside your home. Therefore, it is best to call a bat exterminator as soon as you notice bat activity in your home. Contact Pinnacle Wildlife Control for professional bet removal and control services.